THE ULTIMATE GUITAR REFERENCE GUIDE. A very handy tool to have on your desk while playing guitar. Print it off then follow the easy assembly instructions to turn it into a self standing 3D double sided reference guide. 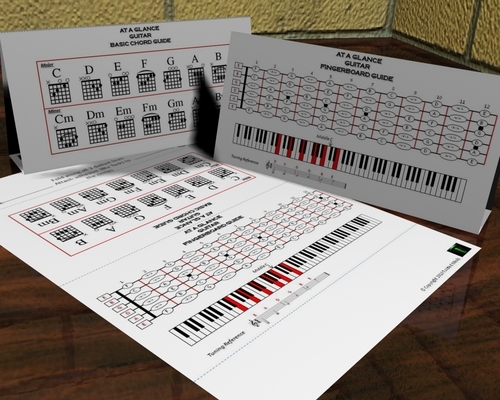 One side shows a popular chord chart, and the other side shows a map of the guitar fingerboard and a tuning guide. For best results print onto a glossy material. THE ULTIMATE GUITAR REFERENCE GUIDE chords;guide;guitar;reference 105498422 2.99 twistedminds Fresh Download Available!